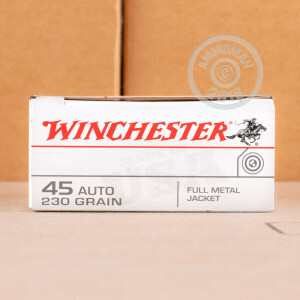 This .45 ACP ammunition from Winchester is a great range load for a wide variety of handguns. 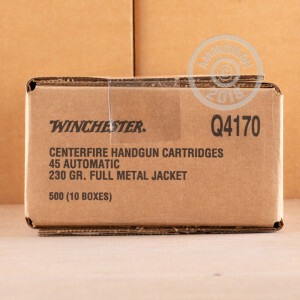 Each cartridge in this volume priced case of 500 (10 boxes of 50) fires a heavy 230 grain full metal jacket bullet at a muzzle velocity of 835 feet per second. Purchase this case or any other items totaling $99 or more to get free shipping! 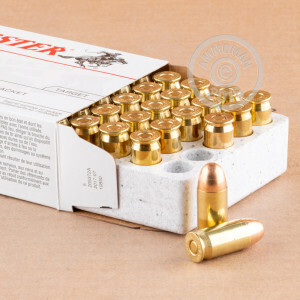 Great price on a good product for training and range time. Good back up round for a compact carry. I may have gotten a Friday afternoon batch. The wife and I shot 100 rounds and had 9 bad primers.